Billiards is not a new style of game. People have played it for decades and it’s a popular activity at bars and pubs. However, the digital pool has only been around for a couple of decades or so. The genre has evolved quite a bit from its days as a Flash game on Candystand. There are a bunch of digital pool games now and mobile versions aren’t so bad. You can even play various types of pool, including 8-ball, Snooker, Carrom, Crokinole, and a bunch of others. 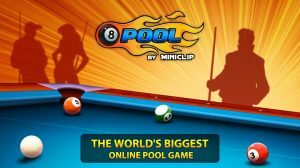 Here are the best pool games and billiards games for Android that can be played online, offline, single or multiplayer! By the way If you are looking for the best cricket games click here. Without wasting much time, here are the Best Pool Games that you must try out. Pool Star is one of the best-rated pool games on Android. This game is free, though it comes with ads, and it is currently holding a 4.6-star rating in the Play Store. As you can see, this is a 3D game, and the developer claims that this is the best one-hand pool game out there. You can opt for a 2D view in this game as well, while you will get access to customized pool tables, cue stick, and backgrounds. Controls are extremely simple here, while you can make an in-app purchase to get coins /to remove ads. Billiards city is yet another highly-rated pool game, and this game has one of the best graphics out there, one of the best when it comes to pool games, that is. This is a single player game, and it is one of the best pool simulations in the play store. As you play the game, you will gain access to new city bars, while you can also win various trophies in this game, and become the Billiards City Champion if you’re good enough. This app also comes with ads. 8 Ball Pool is a pool game for Android that allows you to play against people from all over the world with exciting challenges and levels. Easily customize your cue and table and when you win games, you earn pool coins which will help in your rankings. 8 Ball Pool has realistic graphics and exclusive locations that will sweep all your attention. Pool Break Pro 3D Billiards is a paid Android pool game, but quite a compelling one. This game will set you back around $3, but you will get a lot of worth out of this game for that amount of money, plus you can try out the Lite version of the app before you buy it. You can play against a computer in four difficulty settings, or play online, while chat is included here as well. Regular, circular and hexagonal pool tables are available, while the app allows curve and masse shots as well. You can choose between 15 different cue stick textures, while controls are on point as well. Pool Night is yet another free 3D pool game, which offers great graphics and proper gameplay. This game is actually quite similar to Pool Star, and much like Pool Star, it comes with a really high Play Store rating, a 4.7-star rating. Controls in this game are really simple to learn, though mastering the gameplay is never easy, of course. This game is completely free to play, but ads and in-app purchases are included. 3D Pool Ball is also a 3D pool game, though a 2D view is also available, just in case you’d like to keep things a bit simpler. In any case, this game offers you a chance to play one-on-one, or in an 8-player tournament. You can play this game offline against a computer, or you can play it online against people all over the world. The game is free to play, though ads are a part of the experience, as is the case with most apps on this list. 3D Pool Ball is a sports game on Android which will give you an authentic 3D pool experience with its realistic graphics and animations. Play against computers or challenge real people from around the world or take part in championships and win valuable prizes. Try to rock the leaderboard with all your gaming skills and become the best billiard player. If you prefer snooker to pool, this is a game for you. Snooker Pool is a 2D game, but a really addictive one which offers plenty of gameplay. You can play this game online or offline, it’s up to you, and regular snooker rules apply. You can join the world online league, and fight to be the best. If you opt to play offline, though, you’ll find AI to be challenging enough to brush up your skills. Graphics are okay in this game, nothing spectacular, while ads are a part of the experience. Pool Mania is a 2D pool game, but unlike other games on the list, this game not only offers pool simulation, ut an arcade mode as well, with various trick shots and what not. Controls are extremely simple, and the arcade mode offers up to 120 levels. Challenge mode is also included here, and it will challenge you to score as many points as you can in a limited amount of time. Various tables are available in this game, while the developer promised future updates will bring new features. Ball Pool Billiards is one of the newer games on this list, but also one of the most realistic ones. This game is holding a 4.7-star rating in the Play Store, and this is a 3D game with rather realistic physics. This game is considerably more simple than most other games on the list, in a way that it offers fewer features, which does not have to be a bad thing. If you’d just like to enter a game and play pool against a computer, this is the game for you. Billiard is a simple yet popular 8 ball billiards game. With 120 levels you will surely never get bored from playing it. Also, it has easy gameplay with fascinating scenes from all over the world to make it more visually appealing. So enjoy the billiard ball collision and be a master. Kings of Pool is an online Android pool game for the more competitive players out there. This one also has some really neat game mechanics. 8-ball is the name of the game in this one. It features leaderboards, decent graphics, and a trick shot engine for you daredevils out there. This one also has an AR (augmented reality) element. You can scan a flat surface and pop a pool table there with your phone’s camera sensor. That is a fun trick and one you definitely don’t see every day. The pool feels like one of those types of games that works well in AR and our experience with it was fine. The game has occasional bug or physics issue, but nothing serious enough to really complain about. Real Pool 3D is another pool game with a lot going for it. It features Facebook sign-in and you can play against your friends with that function if you want to. Additionally, the game features a 2D and 3D view, online games against random players, social clubs (like a guild or a clan), and a collection of pool cues to collect. Total Snooker is a great, basic Snooker game for mobile. It uses a top-down, 2D perspective for full board view. 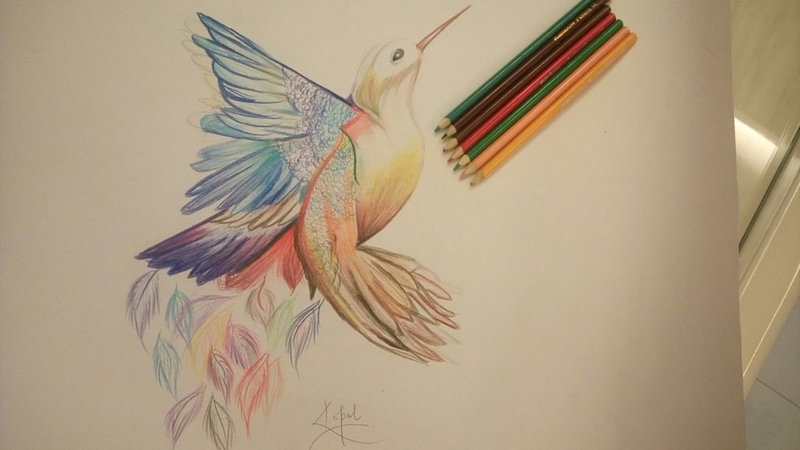 However, you don’t get the power of a 3D perspective. The game also features tournaments, online play, and you can invite friends to play with you. Otherwise, there isn’t really a lot to this game. You just play Snooker and move on with your day. We enjoy the minimalism, but some may want more content like a story mission mode or something like that. In any case, if this sounds up your alley, it’s free with ads or you can pay $1.99 to remove those ads. Unusually taking the ‘portrait’ view, it all works quite brilliantly, to the point where you wonder why all other pools and snooker games don’t do the same – it’s just supremely comfortable. The tradeoff is that it’s a natural ‘top-down’, i.e. 2D view, but Micro Pool makes up for it with balls that are immaculately rendered and animated, you’ll think they’re physically in your smartphone screen and that you could, if you wished, reach in and pluck them out. Its surely a must try game. In this top 5 by virtue of sheer atmosphere, Pool Bar HD is minimalist in the grand scheme of things, like Micro Pool above, with no over-arching ambitions or high scores, but what it does have in spades is ambience. From the flickering neon lights in the menus to the beautifully rendered seedy bar surroundings to the TV-style viewpoints for great pots to the jangly music to the chatter from other bar occupants, even a TV in the background, you’re there. If you do not have the opportunity to attend billiard clubs but you really want to try your hand at this gambling, the most convenient and easy way out is to download the billiards on the Android and iOS device and play at any time. Modern mobile games with 3D graphics give pleasure no less than from a real process. So that is our final list of Best Pool Table Games for Android. That wraps up our list of some fun and different billiards games for Android that you can try out. But we know there many more pool games that we left off this list. Some new ones and plenty of traditional formats played in billiards parlours for centuries. We’ll be exploring some of the more historical aspects of these games in an upcoming post. But, in the meantime, if you know of some other billiards games to try out when 8-ball or 9-ball gets a little stale, please let us know!